Producing a unique brand of ambien electronic/liquid drum and bass, finale’s newest EP, Proverbs, shows that he is not messing around. Five songs long and with a runtime just under 20 minutes, this effort will leave you wanting more, while still providing quality in where the album lacks in quantity. 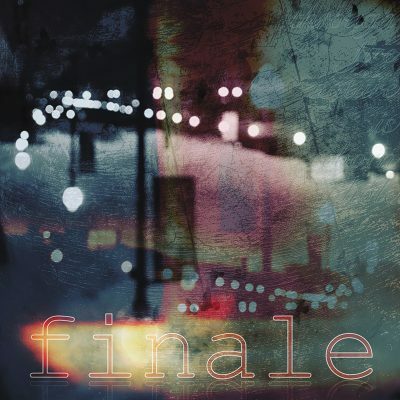 Finale creates pulsing atmospheres throughout this EP, allowing hushed riffs and samples to slowly build and linger on their own or to be accompanied with a classic drum and bass breakbeat. Proverbs opens with “Copy/Paste,” a track that builds with drowning violin and sub bass that is later accompanied by echoed guitar, which carries a soothing pace through the rest of the track. As “Copy/Paste” fades out, the bass and piano riff of “Autophagy” is catapulted by a glitch-effect heavy breakbeat. The echoed effect of the piano as the track progresses adds so much space in the track and counters the beats beautifully. The following track, “Loves Notes,” comes across very similarly to the opening track, but builds more aggressively with lightly distorted bass that leaves the final half of the song with an added texture. As “Love Notes” fades, the liquid-sounding ambience grows as the lead piano riff in “Swans” starts. The riff is accompanied by a countering backbeat that creates a beautiful symmetry. The echoed piano keys throughout this track really pull it all together.